I kicked off the new year by finishing up a project that was intended as a Christmas gift. All of us have that one toy or momento from our childhood that amid the turmoil of break-ups, layoffs, and debt keeps us grounded and tethered to that innocence we once possessed. A dear friend of mine from college has a Pooh Bear, and he has been living in the same red shirt for most of his life. 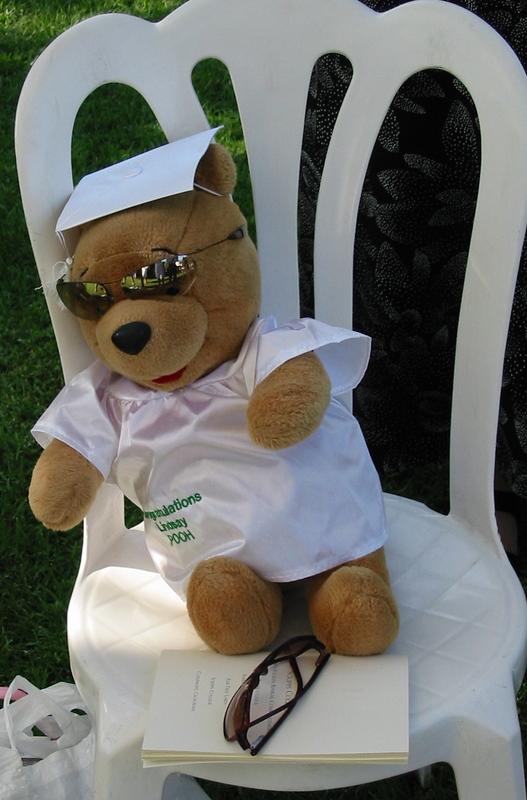 At Lindsay’s graduation, Pooh temporarily donned a graduation robe and watched from her mother’s lap. 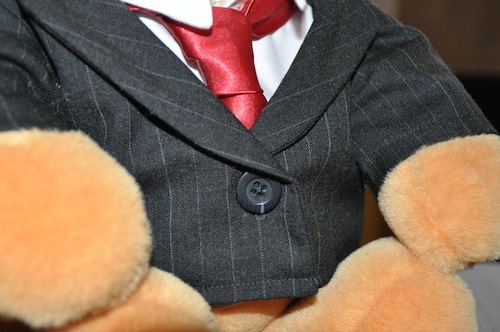 After demonstrating my duck-shaped sartorial skills, Lindsay approached me about making a suit for Pooh. Specifically a suit that would resemble one that her husband owns. Feel free to tell me that this yellow bear is just a round inanimate blob of fabric and stuffing. I will ignore you. I can not, and will not deny the role this bear played in my friendship with Lindsay. Early in my first year at college, Pooh had an unfortunate encounter with a blue ink pen. And thanks to my mom, I had a bottle of Wisk (a great stain fighting soap) in my dorm room. In between fits of giggles and hyperventilating, Lindsay and I gave voice to a bear who was horrified that he had been marked by a blue pen and then smothered in soapy water. We connected over the simple fact that that despite being highly intelligent and rational college students, we both were willing to drop all pretenses about “being adults” and breathe life into our stuffed animals. Anyone who cried during the garbage disposal scene in Toy Story 3, knows what I am referring to. 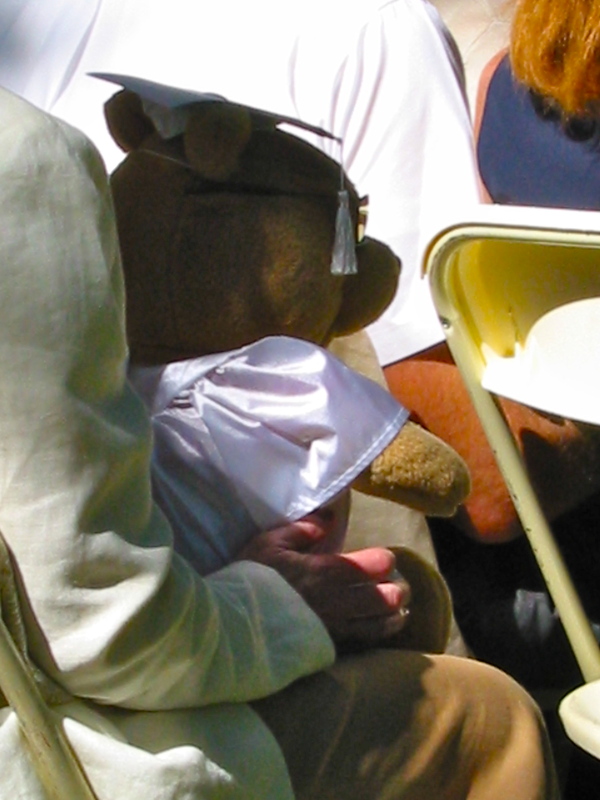 During college we joked that Pooh would be Lindsay’s “ring bear” at her wedding. Unfortuantely this plan never saw the light of day. However, as I stood by Lindsay on her wedding day, I am certain that we both knew in our hearts that Pooh was the rightful bearer of the rings. 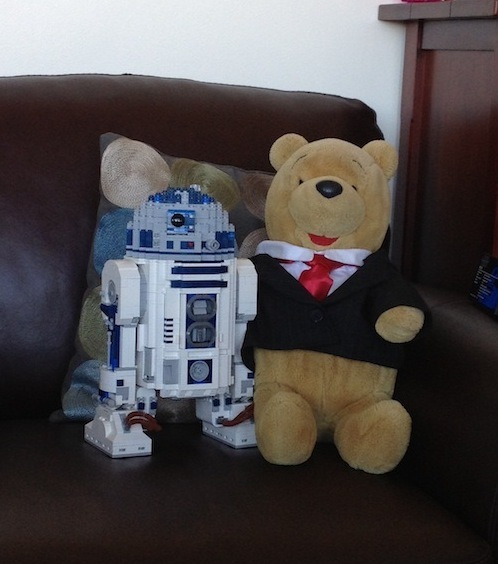 So, of course I was going to make a suit for Pooh. 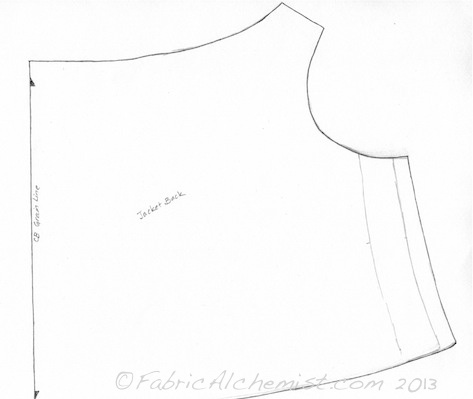 After getting Pooh’s measurements (neck circumference, waist circumference, shoulder to waist, arm length and circumference), I churned out a quick sketch of the suit jacket front and back pieces based on pattern blocks from “Make Your Own Patterns” by René Bergh. Because Pooh’s proportions are not consistent with a human, I had to extend the circumference of the waist and the neckline. The jacket side seam underwent multiple revisions. I made a quick muslin of the front and back, adjusted the shaping and redrew the pattern pieces. I used the sleeve pattern instructions from pages 20-21, but ultimately had to shorten the sleeve approximately 2 inches. When measuring the arm length, I did not take into account the location of the shoulder seam and the sleeve became too long. Again, I used Bergh’s instructions to create the jacket’s front folded lapels and collar. This was the most challenging aspect. I created a second muslin and decided to extend the lapel a bit more. The following pattern images (which I should have uploaded to scale) were re-drawn between the first and second muslins and show the various revisions I made before finalizing the pattern pieces (black line). 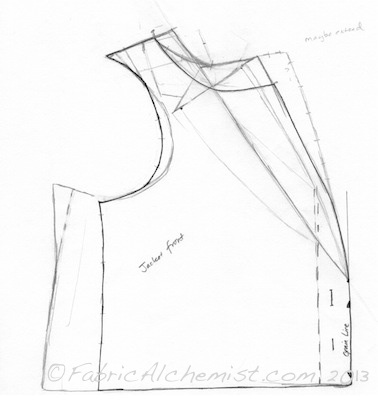 Multiple revisions to the side seam, the neckline and lapel size. Even with all of the collar and lapel tweaks, I still feel like the collar (when folded over) is too narrow. If I do this again, I will widen the collar stand. 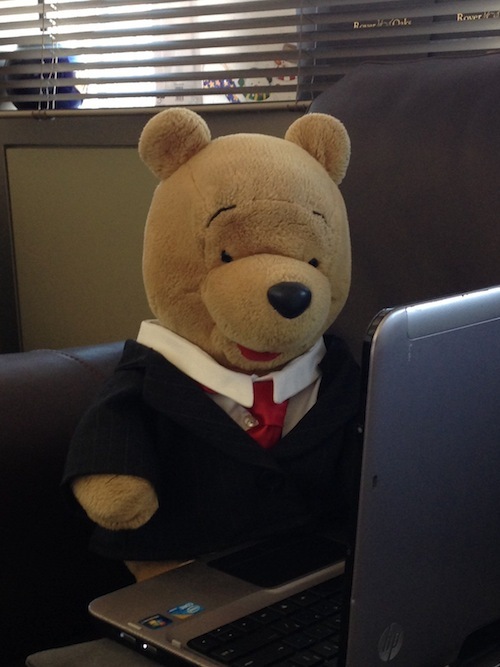 Although the suit jacket looked snazzy over the red “Pooh” shirt, it needed more to be professional. I used the front jacket pattern and collar as a base and designed a white oxford shirt “bib”. I also searched online and found a fantastic “little boy’s tie” tutorial and pattern from purlbee.com. To make this tie suitable for Pooh’s size, I printed the pattern at 50% and extended the length of the tie at the middle about an inch and a half. The fabric for the shirt and tie were made from oddly-shaped scraps from the Ezio costume (undertunic and the second doublet inner lining). The white is a cotton-poly blend that is sold as a “curtain liner” in the home decor section and the red is a satin from the “formal” section. 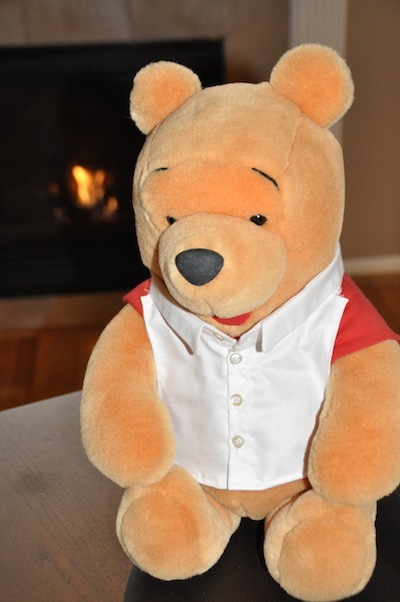 I recycled a pair of men’s pinstripe trousers (Goodwill) into Pooh’s suit. I wanted to save as much of the pants as possible, in case they could be converted into Steampunk cropped trousers. But in order to match the stripes and arrange the pattern pieces between the trouser side seams, I used over 3/4 of the pants. This project was also a great use for extra buttons from ready-to-wear clothes. Despite becoming very frustrated with the intricacy of men’s fashion (suits and ties, specifically) for about a week, I am super proud of this project. It contributed to my stashbusting before I ever joined the sewalong, and my end product successfully matched my original vision. Thank you for the compliment! 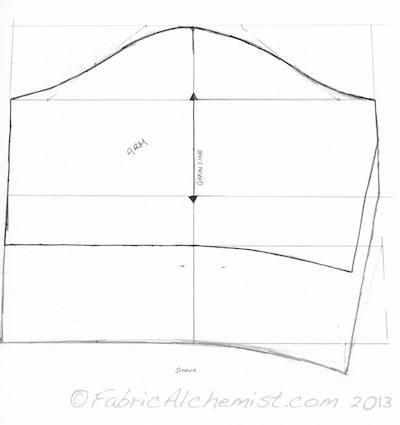 If you ever get a chance, see if one of your local fabric stores offers a class in pattern drafting. It has turned out to be one of the most valuable sewing skills I have learned so far.